Cas is featured in the 2016 Architecture and Design film festival sept. 28–oct 2. Cas is very happy to be included in this group of amazing people discussing the impact of failure in their work and lives. In October of 2015, Cas was asked to give a presentation at SVA MA on her design philosophy and methodology. We’re so excited to get this awesome feedback from educators across the United States on how Rigamajig has sparked imaginations, creativity, and fun in learning environments. Check out these great videos and feedback here. 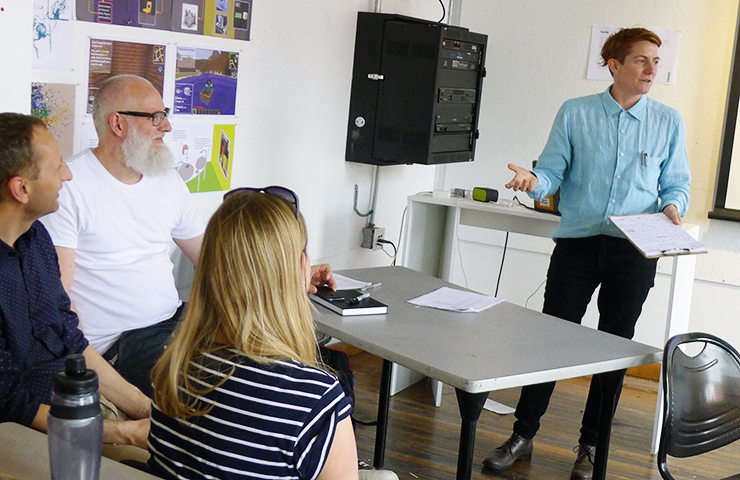 In May of 2015 students in an interdisciplinary studio that caps RISD’s two-part collaboration with LEGO Education presented final projects to an international group of designers and educators. 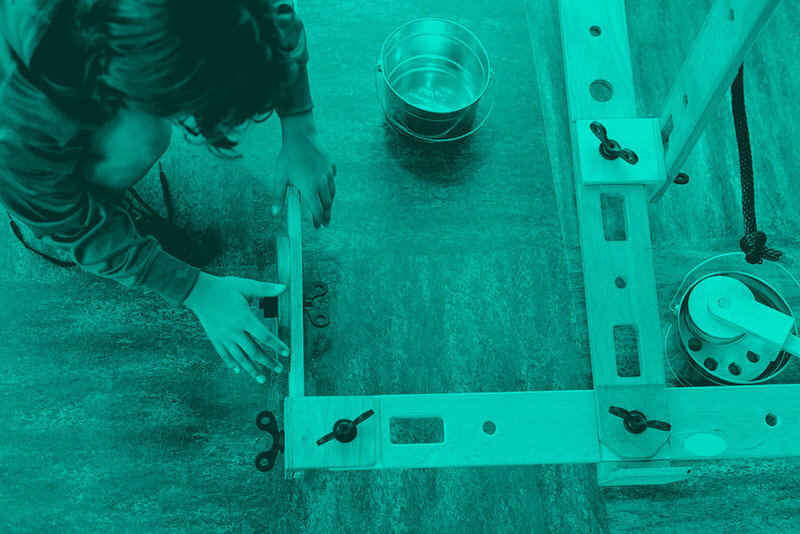 Rather than create finished products, students were asked to explore the role of play in early education and shed light on how rapidly evolving digital and analogue tools can work together in a constructivist learning environment. 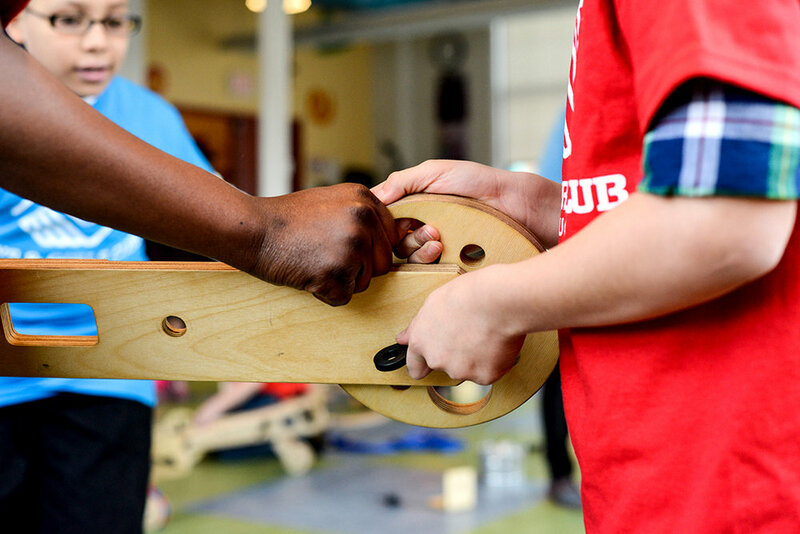 Assistant Professor of Industrial Design, Cas Holman, who’s known for her own work in designing tools that enable kids to learn through making, taught the spring portion of the LEGO Education collaboration. In an interview with Fast Company, Cas created three of her own principles for the HighLine Children’s Workyard Kit to work through the varied and numerous constraints in designing not only for urban kids in a public space, but for one of the most highly venerated and acutely designed places in the city. In a recent interview with Fast Company, Cas makes her case for why giving children less leaves room for them to contribute more. She argues that “the ideal toy for a child is not a toy at all but something that they’ve appropriated for play.” When children have agency in their play, they learn to have agency in their lives. The instructions we should give to children? Don’t wait for someone to tell you who and what to be—jump in and figure it out. Good designers know the power of a toy to edify as well as to entertain, and take the responsibility of creating products that influence young minds seriously (while still having fun with it)—they don’t fall for the tired formula of pink dolls for girls and blue trucks for boys. Check out these seven of the best products for children we came across in 2014. Check out these seven of the best products for children we came across in 2014. Check out the interview Cas did for Fast Company about Rigamajig and her methodology for creating “epic” toys.